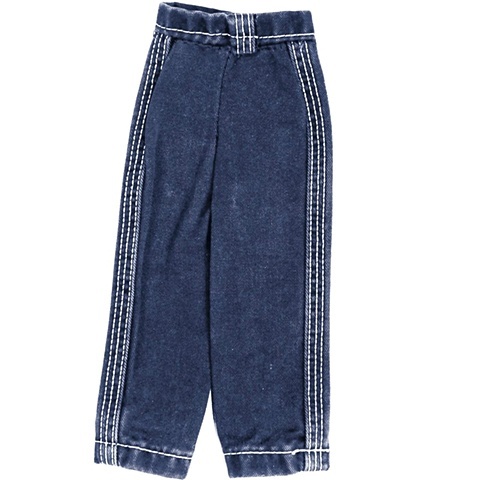 This is a casual pair of summer twill weave slacks that look like denim but were much more casual. These were my own. I wore them in the late 1980’s. Once they began to wear and fray I set them aside. I made them into a miniature version is 1995 after coming across them in a box of fabric I had put in storage.